The Pinto Bean is named for its mottled skin (like a Pinto Horse) and is the most common bean in the U.S. 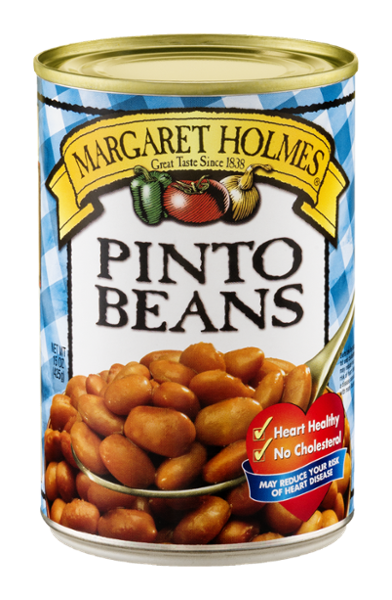 Commonly used in Mexican dishes, Margaret Holmes Pinto Beans are also a great side dish or ingredient in soups and salads. Pinto beans are a great source of fiber and amino acids.